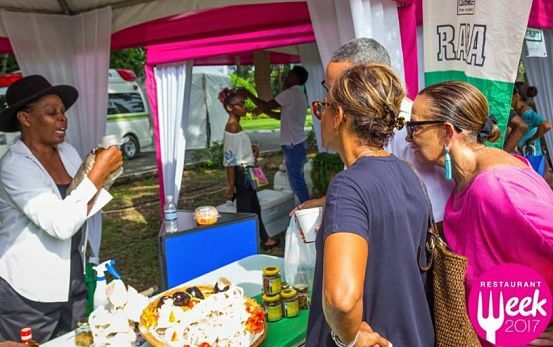 BITE SIZE: Sunday's Devon House-hosted launch was a flavourful mix of sellers and buyers, samples and giveaways. Over the course of its 13 years, Restaurant Week has come to represent more than just dining out and discounts for the scores of Jamaicans who pencil it into their schedules year after year. For Christopher Barnes, Managing Director of the RJR/Gleaner Group, the media giants who helped to catapult the brand into the stratosphere, it’s a godsend for the local food industry. With some 92 eateries across eight parishes participating this year (some offering up to 30% discount on meals), RW is enjoying its largest complement yet. But that’s not the only thing that’s new about the 2017 instalment. For the first time, a free-to-the-public launch kicked things off. “This is the new big thing. 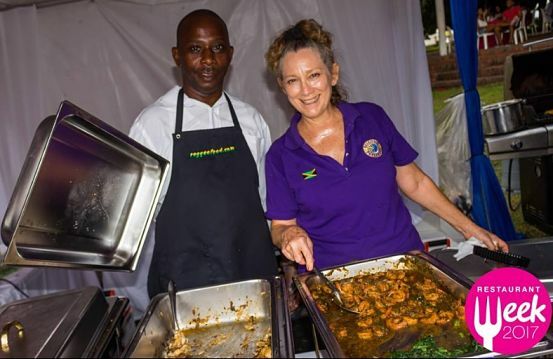 It’s like taking Restaurant Week to the streets,” dished founder Stephanie Scott, standing by her SSCO Events booth on Sunday at Devon House, where the launch took place. For a proprietor like Yvonne Anderson, nothing beats the blend of fresh faces and satisfied patrons. “We get a lot of new customers during Restaurant Week and they usually leave very happy,” says Anderson, owner of the Kingston-based Triple T’z, which won this year’s Jamaica Observer Food Awards prize for Best Lunch Spot.